31 days as of this date… That’s how long the United States Federal Government has been in partial shutdown, making it the longest in our nation’s history. It’s been four weeks, one full month,or as many employees around the country have come to measure the time frame, two full paychecks. However, you choose to view it, it means that approximately 420,000 federal employees are working without pay. In U.S. politics, a government shutdown occurs when Congress fails to pass enough appropriation bills to fund federal government operations and agencies, or when the President refuses to sign such bills or resolutions into law. In a nutshell, when the decision makers in Washington, D.C. can’t agree on how to spend money, the put the government (along with the thousands of working-class citizens who keep it up and running) in a timeout. The current shutdown began on December 22, 2018 when Congress and President Donald Trump failed to agree on funding for a wall along the Mexican/American border. The idea of increased border control at our southern border fueled much of Trump’s campaign and excited his base. Under the shutdown, while many employees are on furlough, essential employees are still required to work without pay until the government reopens, at which point they are expected to receive back pay for their time worked. The agencies affected include, but are not limited to Veterans Hospitals, SNAP (food stamps), the IRS, and TSA. While there have been several instances of full or partial government shutdowns in U.S. history only two come close to this current duration: one lasting for 21 days under the Clinton Administration, and most recently, a 16-day shutdown under the Obama Administration in October 2013, as Democrats and Republicans struggled to come to an agreement for the Affordable Care Act, otherwise known as Obamacare. 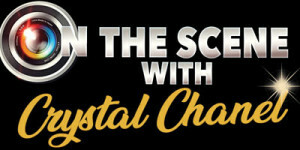 The current state of our nation has unleashed a wave of emotions, from fear and anxiety to confusion, anger and resentment, and while many people are wrestling with thoughts of “I don’t know what to do…,” others like Chef “Ken” Sejour of Miami, Florida looked within and asked “What can I do to help?” Chef Ken is the owner of Chef Creole, a restaurant chain with six locations throughout South Florida. With one of his locations being in the Miami International Airport, this national crisis hit too close to home for him not to act. 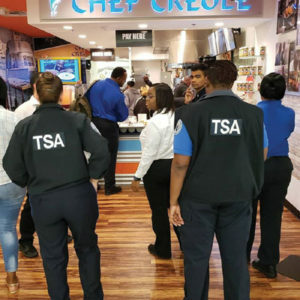 Moved with compassion and civic duty, on January 14, Chef Creole began providing complimentary lunches to those MIA TSA agents who continue to show up to work every day, even in the face of financial uncertainty. With the many overwhelming issues that plague our country right now, I admit that for me sometimes, there does seem to be a sense of calm in just looking the other way. But that’s no real solution. And as I continue to live and face new issues, both personal and global, I’ve come to recognize simple power of making an impact where you are with what you have. Even female rapper, Cardi B, took to Instagram to rant about the partial shutdown at its three-week mark. While she openly expressed her fear for the nation’s direction, she also said that she thinks it time to act. Cardi concluded her video by saying, “I don’t know what type of action …’cause this [is] not what I do,” and many of us can relate because we do not know what to do but we do acknowledge something must be done. We cannot close our eyes in hopes that Trump will soon go away. If nothing else, Chef Creole needs our support as he fills in the gaps during what is likely a crisis for some government employees. At the time of this article, Creole has provided nearly 2,000 meals to TSA agents, and with the support and generous donations of other local businesses, churches, other restaurants, and even anonymous citizens, he is able to continue his efforts likely until the shutdown ends. 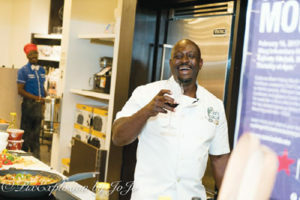 Chef Creole’s willingness to serve out of his own resources caught the attention of local and national media outlets including The Miami Herald, The Today Show, Ebony Magazine, The ShadeRoom and more. Chef openly expresses his gratitude via social media proving that whatever action you take in your area of influence is enough to make a huge difference for both yourself and your community.